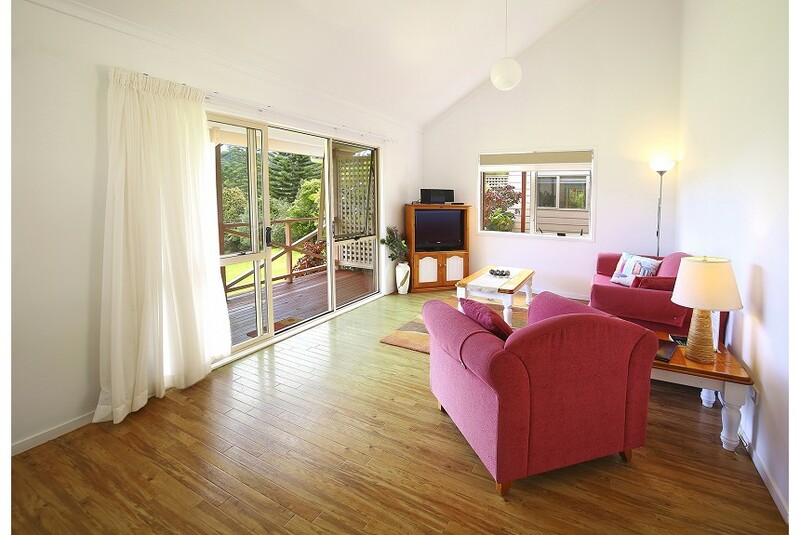 Poinciana Cottages is a peaceful retreat on the edge of town, down a country lane, with rolling valley and mountain views, as well as leafy tropical gardens. Poinciana is owned and operated by a local family, Peter and Jackie Pye who live on site. The property has an interesting history and the homestead known as “Redleaf” was one of the original guest houses on Norfolk Island and well known for its hospitality to visitors. There are five separate cottages all rated four stars by Star Ratings Australia. They are Lavender Cottager, Daisy Cottage, Rose Cottage, Azalea Cottage and Gardenia Cottage all guaranteeing our guests complete privacy, boasting modern design and décor and very well maintained. You will be pleasantly surprised.